William Brandt: Benji? Benji, are you there? 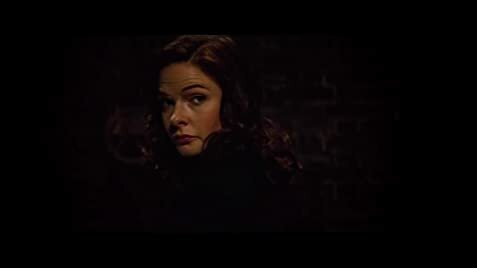 Christopher McQuarrie makes this the best entry in the series yet! So, where does that bring me for the fifth entry of the franchise? My expectations were set at average around this time, despite all the good word-of-mouth I've been hearing. However, it wouldn't have mattered if my expectations were set around the same level for the latest 'Bourne' or James Bond film (very high) – 'MI:5' blew everything I'd expected from it and then some! Where to begin? The film possible contains the biggest, and possibly best, story out if all the other installments. It is fascinatingly complex and dynamic – moving from country to country, dealing with characters who have questionable allegiances – all on top of Ethan Hunt trying to outrun the CIA while trying to get to the bottom of what the Syndicate really wants. It may seem like a lot, but the script is really well structured and paced. Even though the film does take a few liberties with how some of its characters will ultimately act in the end, the plot isn't nearly as predictable as one would make it out to be. Writer/director Christopher McQuarrie also manages to squeeze in some surprisingly silly moments at the most random of moments. The action scenes in this film are also some of the best in this franchise. Soon after showing Ethan Hunt take off on the side of an airbus, the film kicks it into overdrive and delivers an adrenaline rush packed with REALLY well done car chases, okay hand-to-hand combat scenes (they're kind of choppy), and ONE very suspenseful, pulse-pounding scene involving multiple snipers. McQuarrie's direction over the editing of these sequences is incredibly nuanced – so much so that I found myself repeatedly leaning over the edge of my seat with excitement. People who weren't fans of the cheese factor (forced romances, convenient gadgets, and the overuse of face masks) of the previous films would be glad to know that it's been done away with in this film. And for people fearing that this is a film that takes itself too seriously, let me be one of the first to say: it doesn't. One may draw parallels between the events that have happened in this film to some of the recent events in our world, but I see it as a clever way for the franchise to keep up with our times. 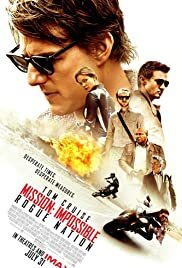 'Mission Impossible: Rogue Nation' is without a doubt one of the most exciting films I've had the pleasure of experiencing this year. It completely took me by surprise with how well-done it was, and should just about take anyone else to the same conclusion. 200 of 300 people found this review helpful. Was this review helpful to you?